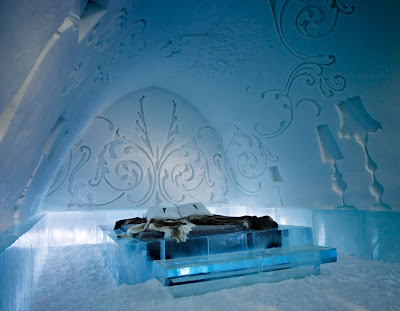 Ice Hotel, which is located in Swede is one of the famous hotels in the world. 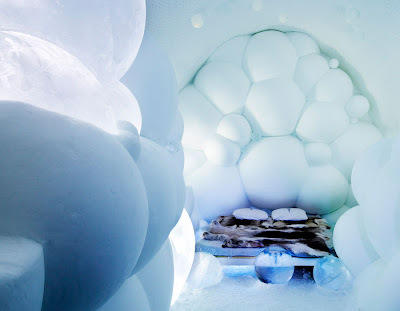 This is cool place where you can chill out and sleep on ice. All happened in freezing conditions and in almost total darkness. Lighting is an important element of every room. 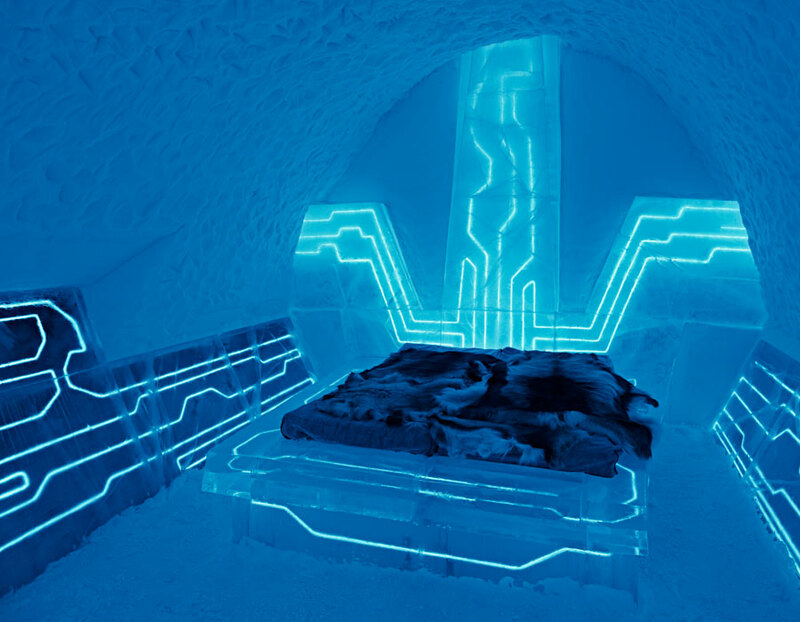 It gives to the interior more playful look and it makes you feel comfortable even in this freezing condition. 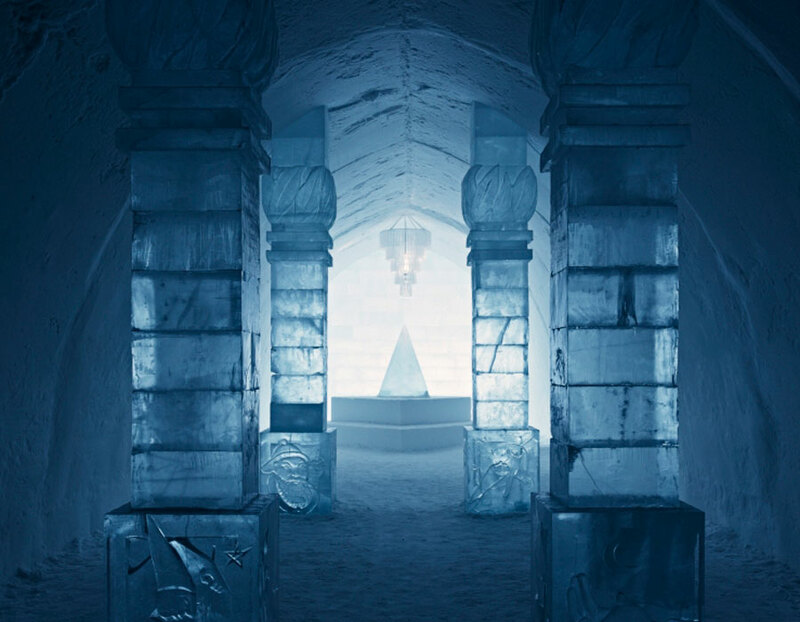 All furniture and elements of decoration are made up of ice and snow. The architecture of the hotel is changed every year, as it is rebuilt from scratch. 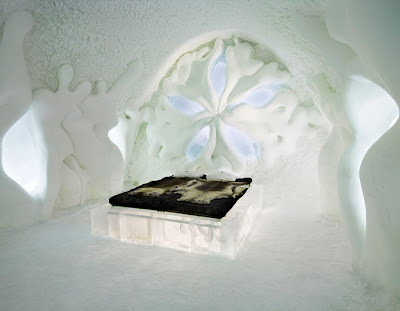 The design of the hotel is unique and fascinating. The style of rooms is creating by many designers each year. Marinus Vroom and Marjolein Vonk from The Netherlands designed this luxurious suite. Ben Rousseau and Ian Douglas-Jones from Great Britain designed this amazing lighting system, which gives you a felling that you in a place from science fiction movie. Above picture shows main hall. Sofi Ruotsalainen, Mats Nille Nilsson and Lena Kriström were inspired by Swedish song I Indialand’ which is about magician living in India. They designed a hall with ice and snow sculptures pictures. Those pictures present a jungle and days of a magician's life. Designers of above style are Liliya Pobornikova and Viktor Tsarski from Bulgary. When you think about designe of this room it makes you think that the sea and coral reef inspired them. They are going to come back this year to decorate hotel's rooms once more. This suite is playful, filled with giant soap bubbles, inspired by the sphere.